So delicious…and fool-proof cooking them in the oven on a sheet pan! Remove tails and veins on shrimp, if needed. Place the shrimp on half of the sheet pan. Add the sliced peppers and onions on the other have of the sheet pan. Squeeze the limes over the chicken and veggies, then sprinkle with garlic powder and cumin. 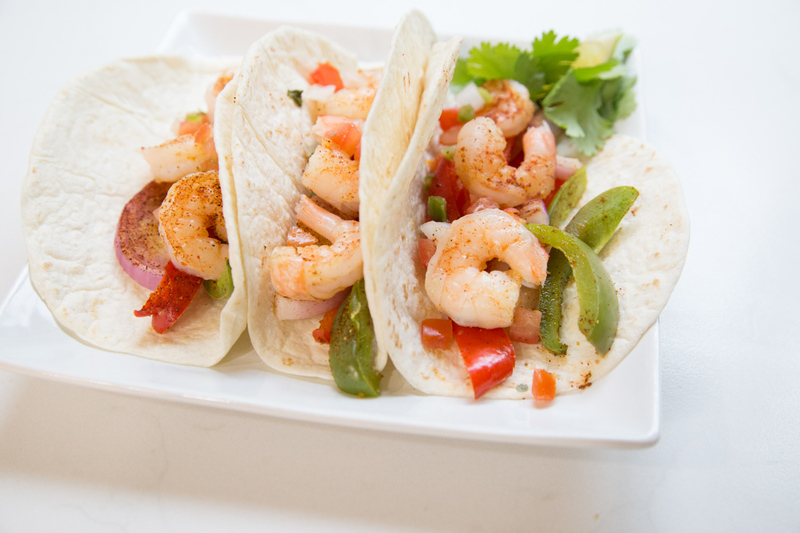 Remove from oven and toss together the veggies and shrimp, then serve into tortillas and add garnishes. Serve Sheet Pan Shrimp Fajitas with garnishes and side of refried beans.